Welcome to the new Maddock Funerals website. Our website is full of useful information and advice - we hope it is helpful for you. What plans do Maddock offer? Family-owned and run since 1925, Maddock have been trusted by generations of Warrington families. 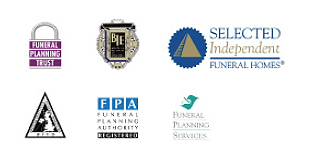 After arranging funerals in Stockton Heath for many decades, we became part of Craven, the largest independent funeral providers in Merseyside and North Cheshire, in 1979. Alongside all the credibility and expertise of Craven, we’ve retained our traditional values and local roots as Maddock based here in Warrington. We all love what we do by helping people at a difficult time. Each family and funeral is unique. So each day and each service is totally different. And you’ll find that we tailor everything to you: whether you need a basic funeral costing just £695.00 or something more ceremonial, a traditional wood coffin or a granite memorial. In addition, it’s about the nice little touches: from a bespoke coffin to a chosen cortege route and personalised music and readings. So let us help you create a wonderful tribute to that special person. We can help you do things like place an obituary notice, arrange transport of the cortege and decide on the wake venue. And you may also be interested in finding out about our award-winning funeral pre-payment plans. These plans offer the best way to remove a future financial burden for your family when you pass away. Organising a funeral? Click here to send us your details.